Friends, we present you mod easy and simple to use. Mod autoaim. 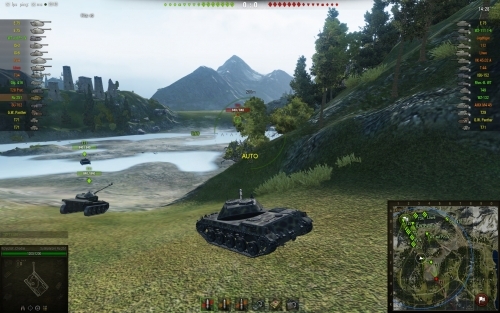 In place of a yellow label «AUTO» you will see name of the tank which you are aiming. Mod has one more advantage:it is looking for the nearest and perspective target and aims into it if you for same reasons do not see it.